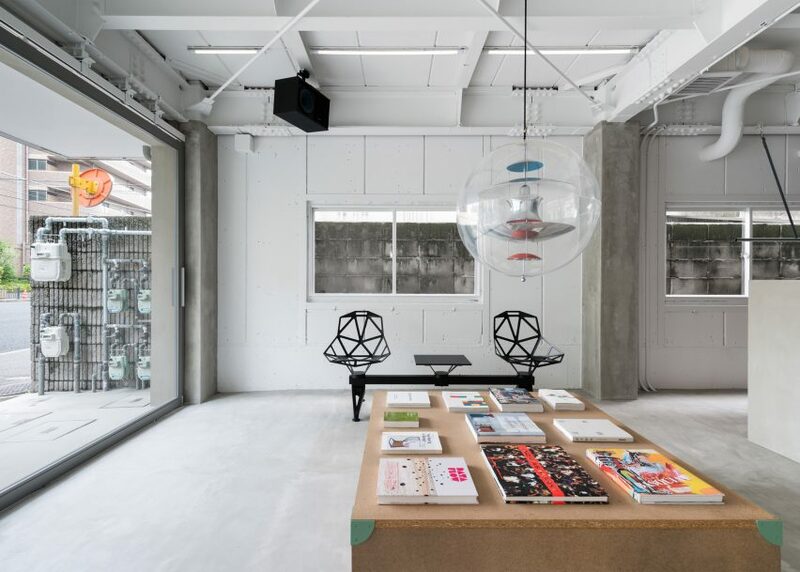 Japanese studio Sides Core has created a space inside a hair salon for the owner's books, art and music (+ slideshow). 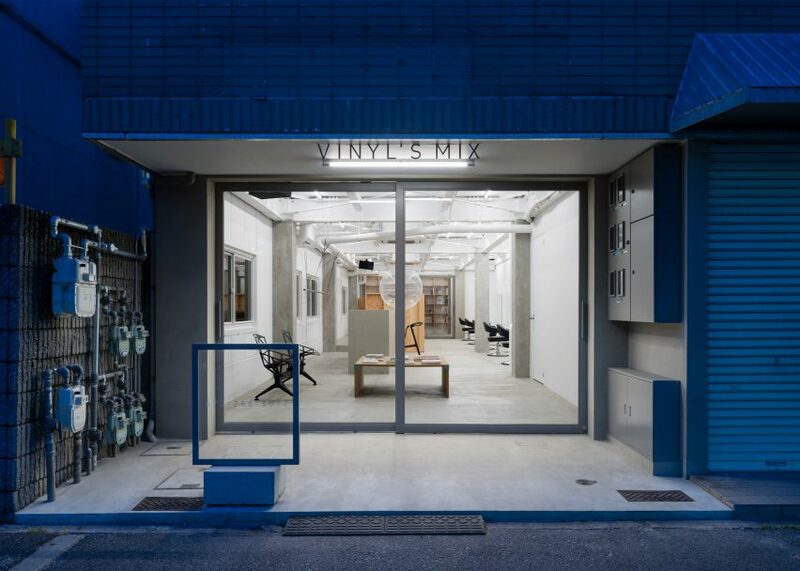 The Vinyl's Mix hair salon is located in Osaka and is the company's newest location. Its name derives from the owner's idea of integrating all of his cultural interests into the salon. 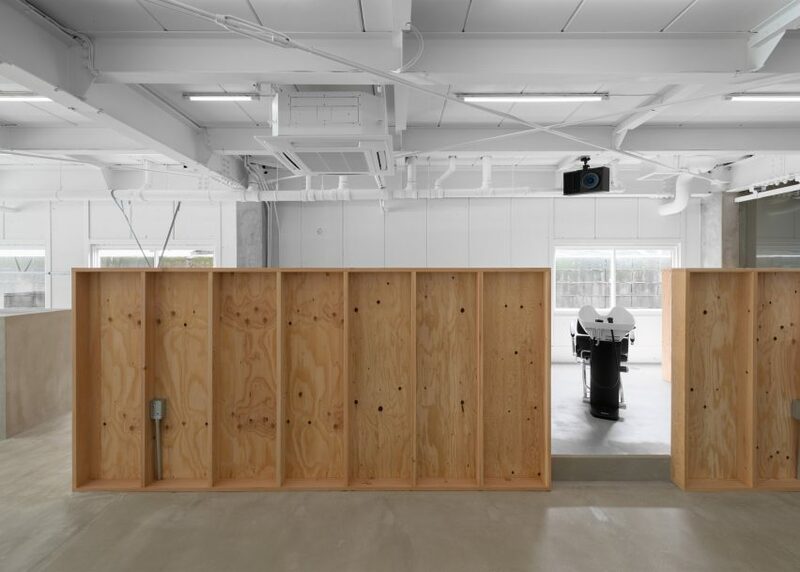 The architects were challenged with coming up with a space to display them. "The staff has curated a collection of books to showcase their ideas and personalities," said the architects. 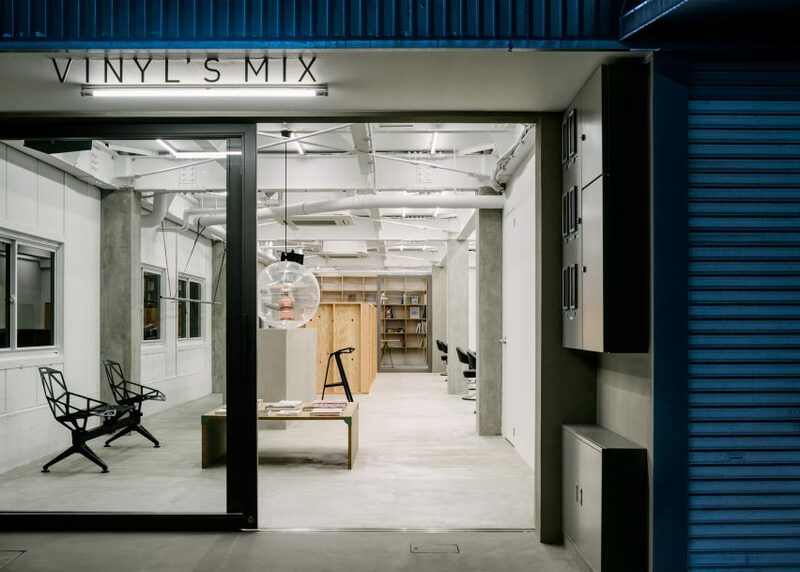 "The owner's idea [was to] integrate music, art and other forms of cultural expression into a hair salon." 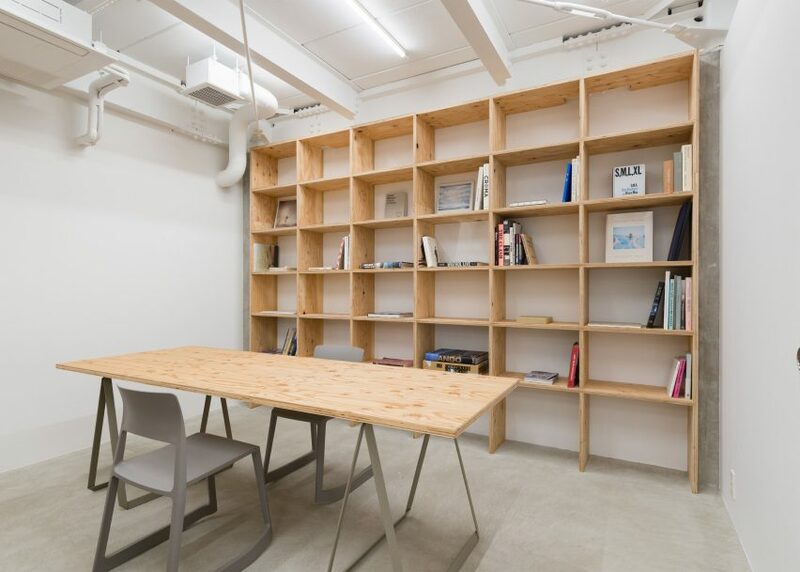 They decided to create a library room towards the back of the salon, where floor-to-ceiling shelves made from plywood are used to store books and records. Plywood was also used to create a simple trestle-legged table where customers and staff can sit and read. 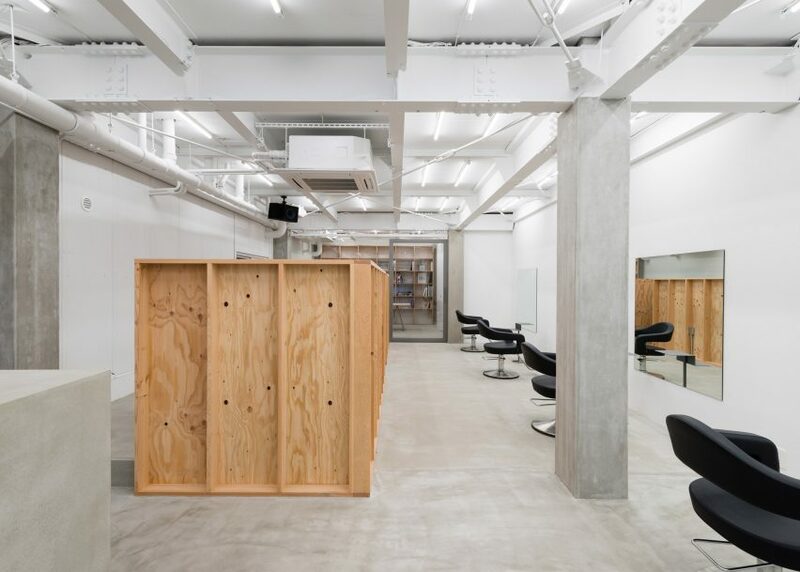 Raw materials were also used throughout the rest of the salon to give the space an "unfinished" feel. 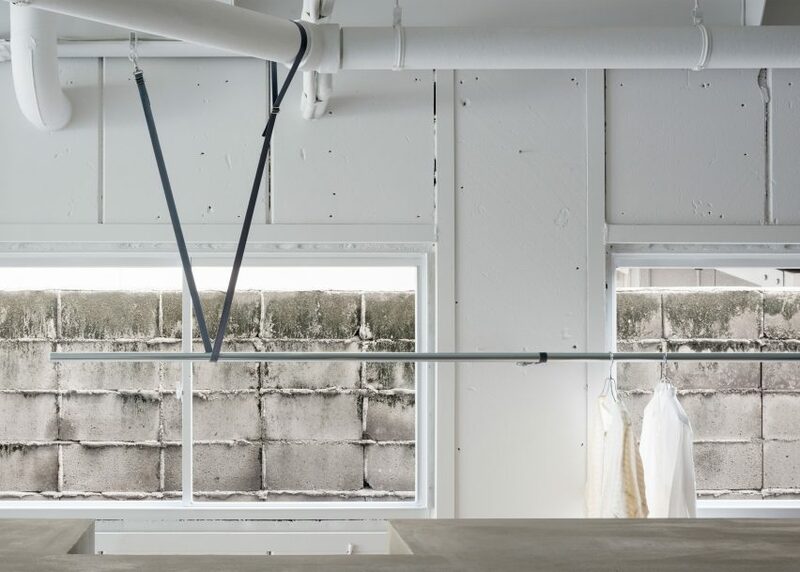 Crisscrossing steel beams cover the ceiling and are used to hang lighting fixtures, while pipes are used as a coat rail. 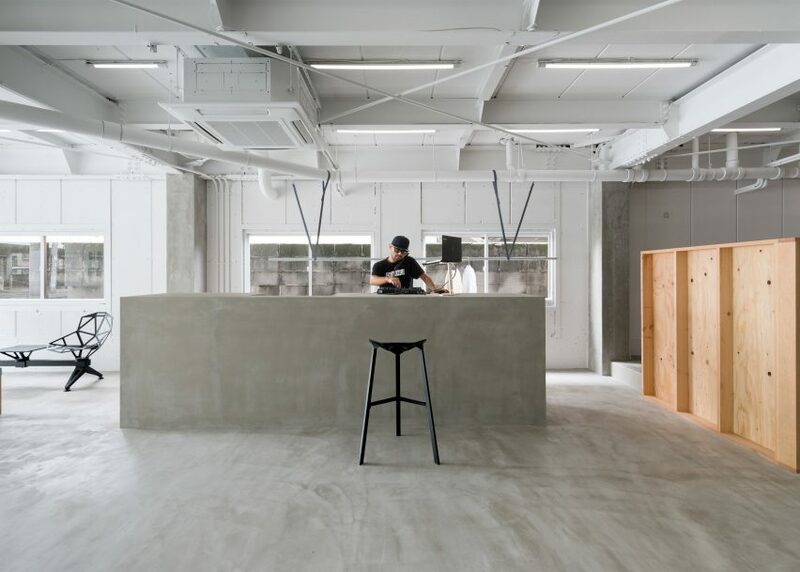 "The redesigned interior has plenty of textured materials to harmonise with the existing rough, unfinished space, expressing the essence of the salon," said the architects. "We chose to make use of those features rather than hide them for an energetic vibe." The length of the salon is visible from the street through a gigantic sliding glass door that covers the breadth of the facade. 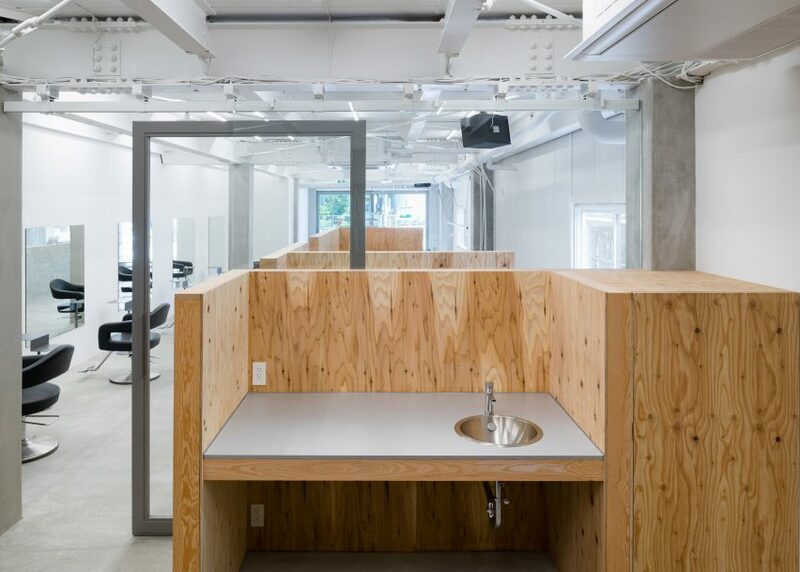 But to ensure a level of privacy, wooden dividers were used to partition off the hair-washing area. 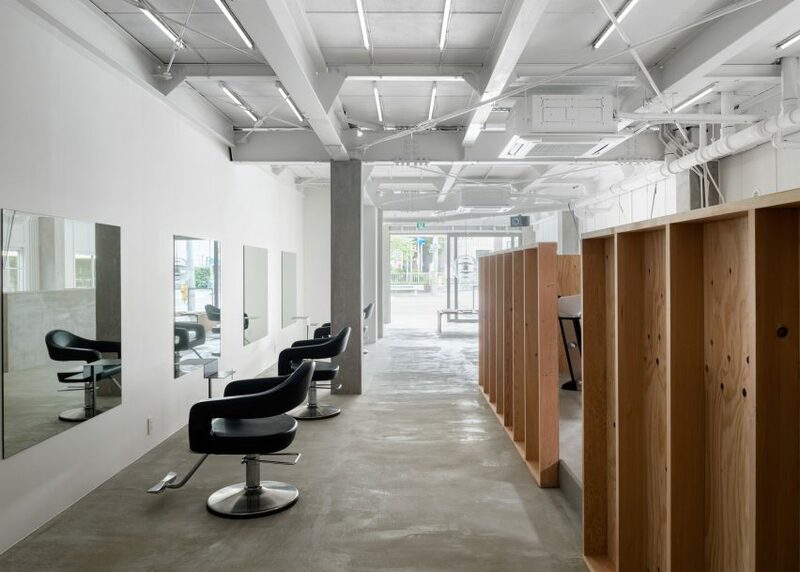 Sides Core has completed a number of beauty salons in Japan, including a hairdressers with an exposed concrete roof and a parlour with vine-like light fixtures. 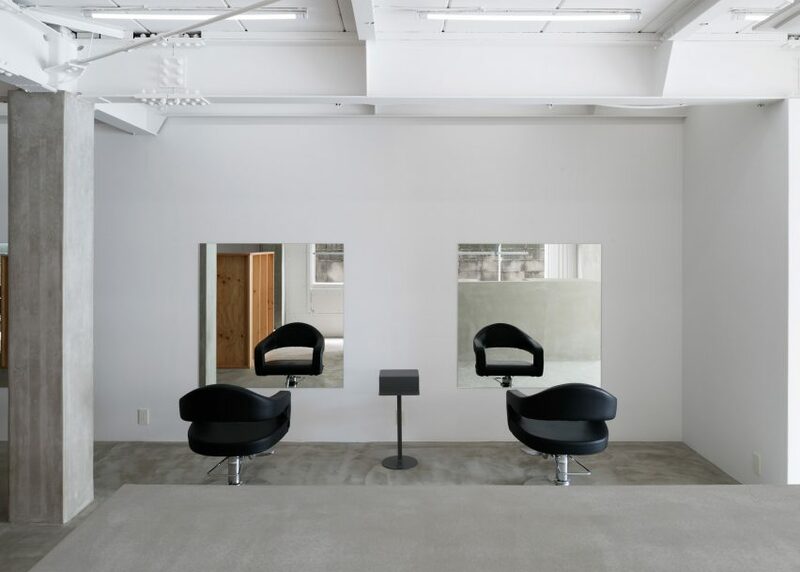 Other unusual pamper spots in Japan include a forest-like parlour where birch trees are wedged between the floor and ceiling, and a hairdressers divided by diamond-shaped partitions.